Milo Yiannopoulos whose real name is Milo Hanrahan was born in Kent, in the United Kingdom on the 18th of October 1984. While he was still in his mother’s womb, his father, Nicholas Hanrahan, wanted to separate from his mother through a divorce but he later changed his mind and stayed with his family. However, the divorce eventually happened six years later as his father moved on to settle with his new wife who is Jamaican. His mother also remarried and Milo lived with them. However, he never had a good rapport with his stepfather and he has stated that his stepfather usually would beat him up at the slightest provocation. He later went to live with his grandmother, Petronella from his father’s side when he was a teenager. He enjoyed his stay with her so much that decided to adopt her surname as his. Milo was enrolled into Simon Langton Grammar School for Boys but was expelled from school as a result of his recurring misconduct. Nevertheless, he was able to gain admission into the University of Manchester and then later Wolfson College, Cambridge. However, he wasn’t able to earn a degree from either of the colleges because he left abruptly before the completion of his studies. In 2014, he moved on to commence work with another company named Breitbart. His performance there brought him a whole lot of attention as a result of his highly assertive opinions as well as the company’s popular profile with the alt-right group. Unfortunately, he lost his job after the release of a video of him saying that sexual relations between boys of age 13 and older men or women can be perfectly consensual and even be a positive experience of the boys. Milo decided to relocate to the United States after the loss of his job at Breitbart. He did just that when he relocated and quickly became a vocal supporter of the then-presidential candidate and now President of the United States, Donald Trump. A new controversy was stirred up around him in 2016 after he carried out a campaign against a few celebrities including actor Leslie Jones. The social media company, Twitter, believed this to be an attempt to incite the targeted harassment or abuse of others. This caused him to be permanently banned from Twitter. Milo launched a new media firm called Milo Inc. in 2017. The media firm was created to cater to the destruction of political correctness. He also revealed in February 2018 that he would no longer be pursuing the lawsuit he filed against the company Simon & Schuster for the publication of his book Dangerous without his consent. Milo has sure worked his way up the social and economic ladder by sheer determination and his unapologetic style of critiquing which has made him a delight to have especially in interviews. He has no doubt made quite a fortune as an author and an entrepreneur. Moreso, his time spent working with the Breitbart company added some pretty good bucks to his pocket thus making his total estimated net worth a little well over $4 million. Personal Life – Is He Gay? 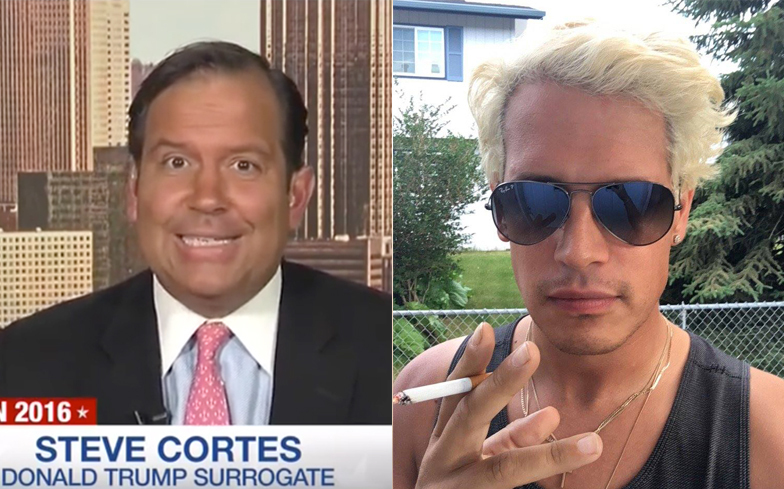 If you have ever wondered the true sexuality of Milo Yiannopoulos, well, we can categorically tell you that he is a gay man for sure. Actually, Milo has been very open about his sexuality for years even to the point of revealing to the world that he was molested by an unnamed individual when he was a teenager. Notwithstanding, he received massive backlash from the general public when he made a statement that boys who are 13 years of age can actually consent to a sexual relations with an older man or women as it helps them find themselves and mature quickly. After this public outrage, he came out to apologize for his statement with the claim that his words at the time reflected his own personal experience having faced molestation at a young age. Milo is definitely off the market at the moment. His status as a single gay man changed when he got married to his long-time boyfriend who is so far known as John. As a couple, they tied the knot in Hawaii, in the presence of friends and few relatives. Milo posted pictures of the event on his social media handle. In one picture, he and his partner were seen reciting vows whereas in another they are seen pouring champagne into a tower of glasses.